If you are baffled by business numbers, then Understanding Your Business Finances might be just the answer. This practical, no-nonsense workbook transforms financial reports into powerful business planning tools. It offers a step-by-step guide to developing a business model, forecasting sales and setting prices to make profit. 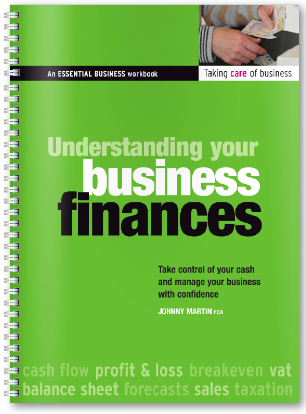 It shows you how to manage your cash flow and get to grips with your business’s everyday accounts. And it builds your understanding of business finances, so you can to talk to banks, investors and financial advisors with confidence. Johnny Martin FCA is an experienced finance director. He has raised venture capital from high profile investors, but also has hands-on experience of the nitty-gritty of small business finance. 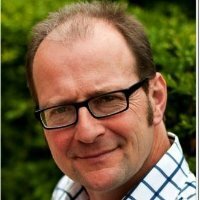 He specialises in demystifying finance and accounting for business owners. Johnny is a partner at the British Library Business & IP Centre in London, where he runs finance workshops for entrepreneurs. 118-page, full-colour wirobound workbook with 12 worksheets. When multiple copies are purchased for professional use, this workbook is accompanied by a set of Microsoft Excel® worksheet templates.